Public Ad Campaign: Long-Awaited Citywide Billboard Inspections to Begin in February: But Will Billboard Companies Sue to Stop It? Wouldn't it be nice to know definitively how many billboards exist in New York and whether or not they are legal? 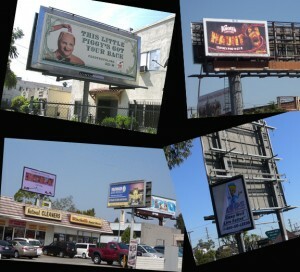 Los Angeles is proposing to do such a thing and pass the cost on to the outdoor advertising companies. This kind of transparency is unheard of in the world of outdoor advertising, something I found out first hand when attempting to get numbers on subway, phone kiosk and other outdoor advertisements in NYC. This kind of research or public information is exactly what is needed to call to arms the average individual who doesn't contemplate how overwhelming outdoor advertising is. Upon receipt of this information I would expect the average citizen to have a much stronger, and visceral reaction to public advertising in general.